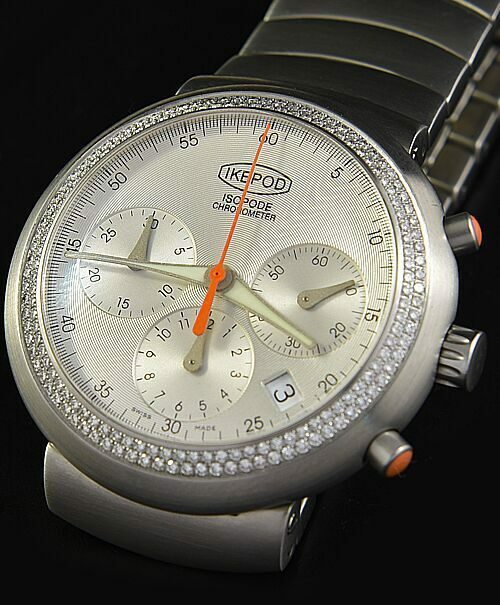 Here is an uncommon IKEPOD chronometer chronograph (limited edition) having an authentic diamond two row bezel, silver dial and contrasting orange chrono hand with matching orange tipped chrono hands. The stainless steel 38.5mm. case looks pristine and features a sapphire porthole viewing window of the automatic winding movement. The original stainless steel bracelet is full length. The three register chronograph movement is operating smoothly and accurately. 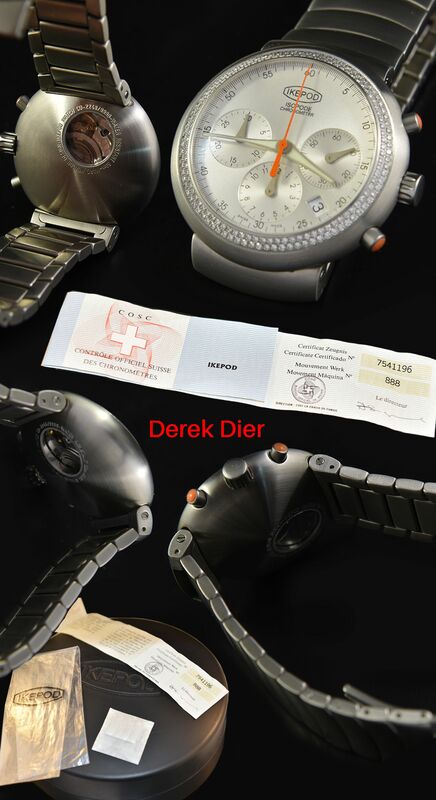 This watch comes complete with its original box and chrono certificate. IKEPOD is designed by Marc Newson, an Australian designer, who is considered to be one of the most influential designers of our time. Just $3950.